Chiropractic treatment often involves movement of joints beyond their usual range of motion to provide pain relief. Chiropractic treatment focuses on the relationship between structure and functionality of the body. It primarily, though not exclusively, concentrates on the spine. Chiropractic manipulations often involve movement of joints beyond their usual range of motion, but not beyond the range they are designed to move. The goal of chiropractic treatment is to provide relief from pain and improve functionality. What types of treatments are done by a chiropractor? A chiropractor will perform a physical examination with special emphasis placed on the spine during the examination. If needed, the X-rays are ordered. During subsequent visits, the chiropractor may carry out different types of spinal adjustments and other manual therapies. These adjustments and therapies are most commonly aimed at the spine. Electrical nerve stimulation (TENS): A painless electrical current is used to stimulate specific nerves and help relieve pain. Electrode patches are applied to the skin and then attached to a stimulator unit that controls the amount current and the treatment time. This is a non-invasive treatment; the current reaches the nerves by traveling from the unit to the patches and then through the patient's skin. What can chiropractors do for patients with back and neck pain? Many people seek chiropractic treatment for neck and low back pain, as well as headaches. In fact, low back pain is the most common reason why people see a chiropractor. Chiropractors perform spinal adjustments by using their hands (or a device) to apply a controlled force to a joint of the spine to move it beyond its usual range of motion. The amount of force applied depends on the form of adjustment being used. The goal is to provide relief from pain and improve functionality. What scientific studies say about chiropractic treatment? 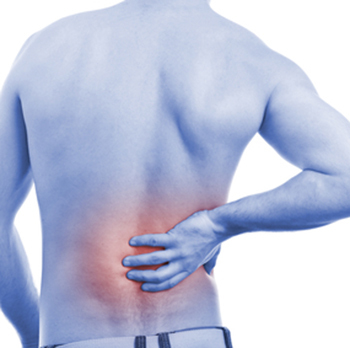 Some studies have shown that chiropractic treatment can provide mild to moderate relief from low back pain. Chiropractic treatment appears to be as effective as the other conventional treatment options for certain types of back and neck pain. One study showed chiropractic treatment to be as effective as other non-invasive, conventional treatments; however, greater than 80% of the patients started to feel pain again after 18 months. However, chiropractic therapy has limitations, and a chiropractor cannot always be helpful. There are physical conditions and injuries that are beyond the scope of a chiropractor's treatment methods. For example, if a ruptured disc is the source of neck or back pain, surgery may be necessary to relieve the pain. Similarly, for patients with permanent disabilities, a chiropractor will not be able to cure the disability; however, they may be able to help mitigate the effects of the disability.